A statue of Queen Victoria outside Windsor Castle. 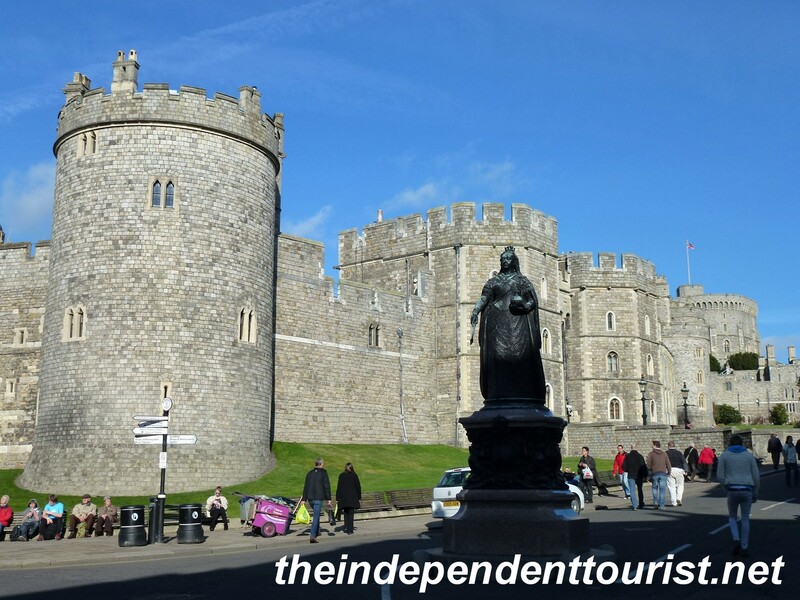 If you only have time to visit one castle in England, it should be Windsor, located just 25 miles west of London and only 8 miles from Heathrow Airport. 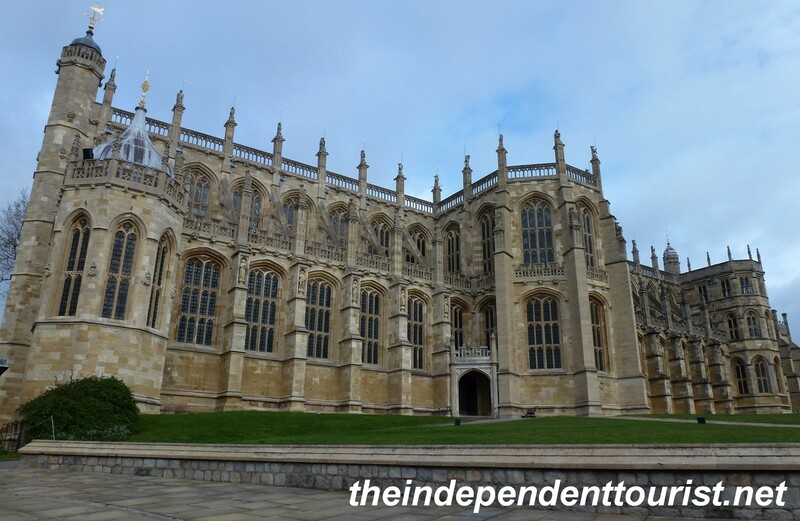 It’s easy to get a bus to Windsor from the airport. 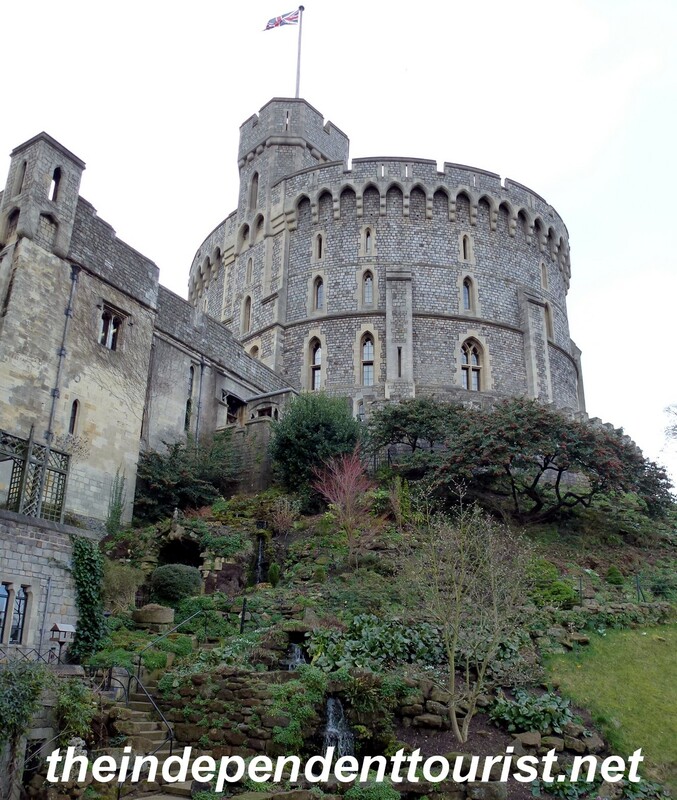 Windsor is the largest inhabited castle in the world and the largest castle in England, with 1,000 rooms to keep track of (and clean). 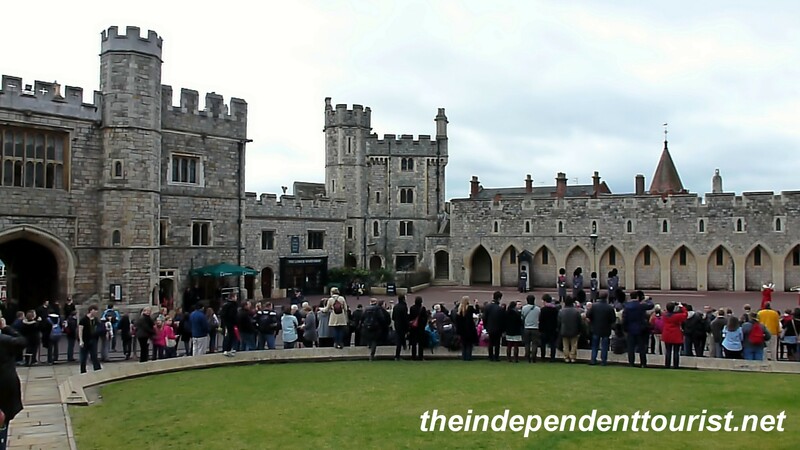 Tourists gathering for a Changing of the Guard ceremony at Windsor Castle. William the Conqueror started a castle on these grounds in 1070, and the castle has been a home of England’s royalty ever since. The Keep at Windsor Castle. Its rooftop is open during the summer (I was there in February). St. George’s Chapel is the highlight of a visit, and even though it suffered major damage from a huge fire in 1992, it looks great today. The restoration was painstaking, the replacement wooden beams were carved and fitted using medieval tools and methods. The exterior of St. George’s Chapel. 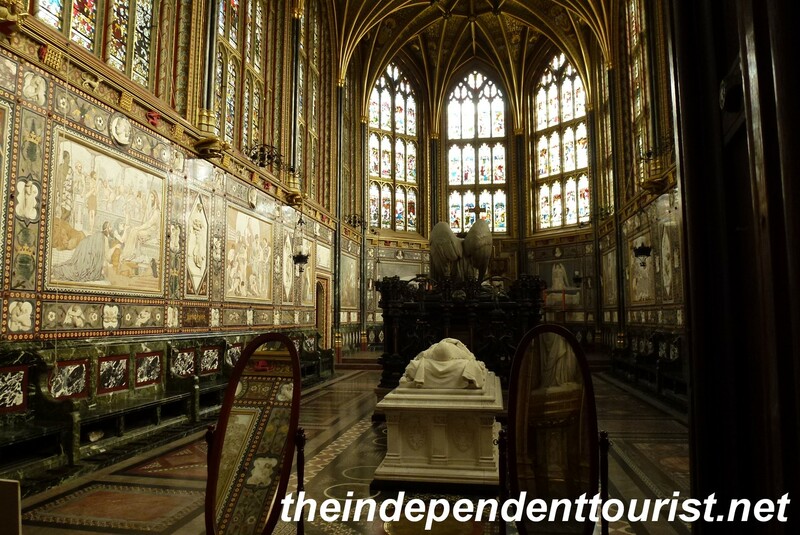 Albert Memorial Chapel in St. George’s Chapel at Windsor Castle. In this chapel lie the tombs of many of England’s royalty. 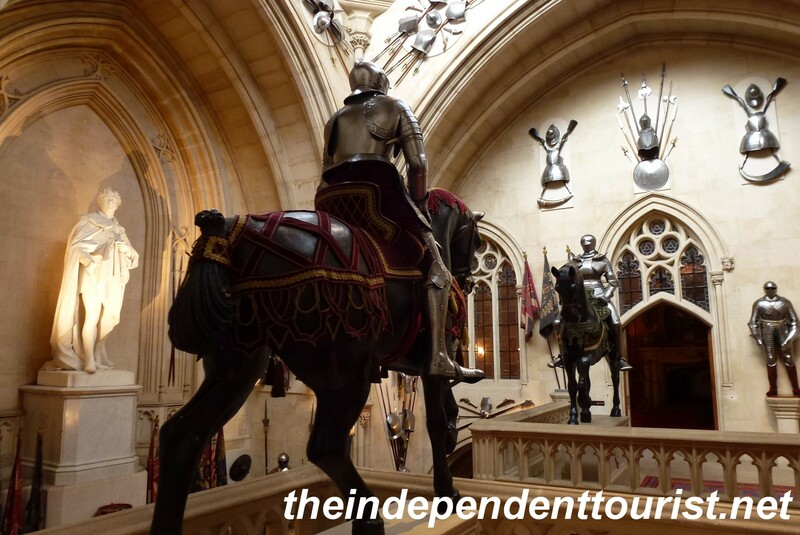 One of my favorite sights was seeing the huge sword of Edward III (from about 1348). It has to be about 6 feet long – I can’t imagine using it in battle! Edward III was born at Windsor Castle and began the military campaigns in France that started the Hundred Years War. A stairwell in Windsor Castle. Windsor is a “working” castle, and since it is the part-time residence of Queen Elizabeth II, security is tight and pictures inside the castle are almost impossible. 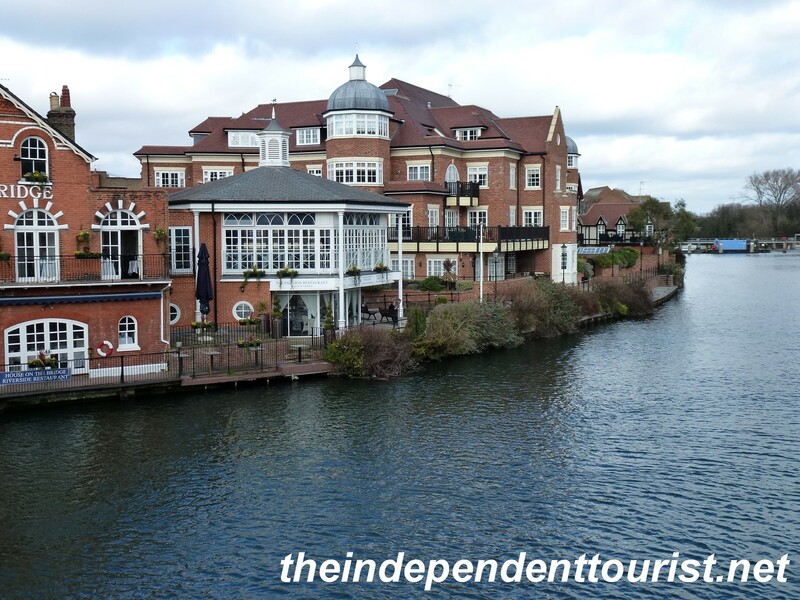 It’s also worth strolling through the town, which is quite picturesque, sitting next to the Thames River. 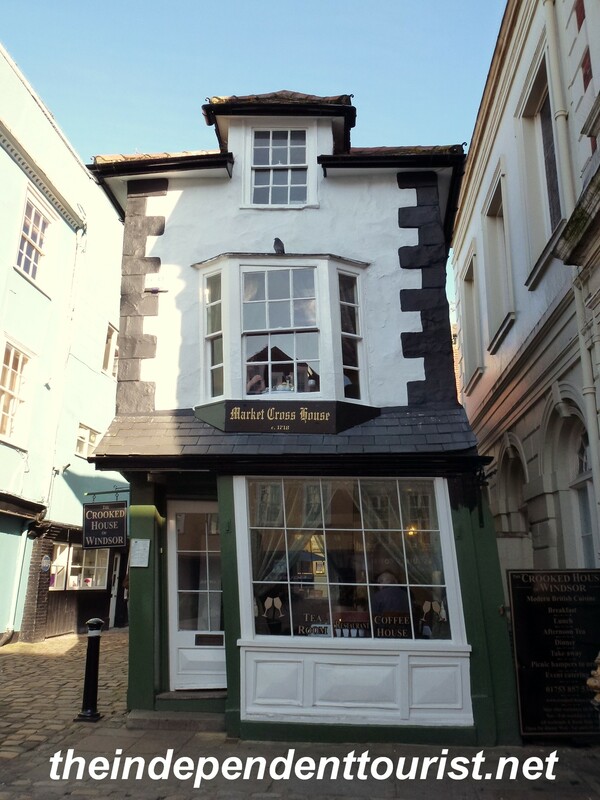 The “Crooked House” of Windsor. A view of the Thames River in Windsor. Posted in England and tagged Things to do near London, Things to see in England, Windsor Castle on February 6, 2014 by Paul Terry.